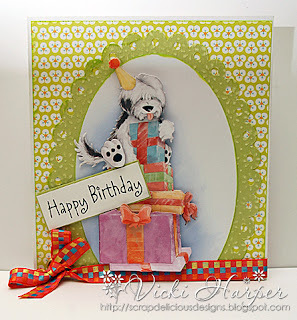 Scrap Delicious Designs: Happy Birthday from Shaggy Dog! 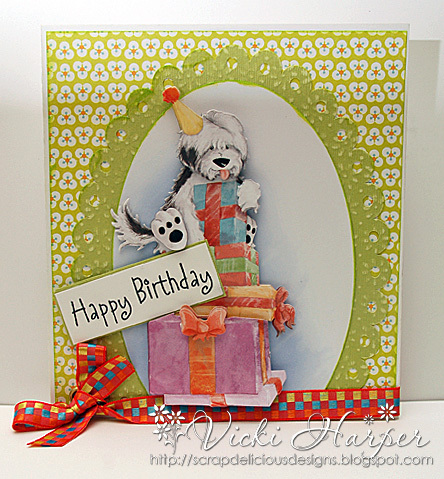 Happy Birthday from Shaggy Dog! I hope that you all had a splendid holiday! I know I did! My two that live out of state were here and we had a great time with all 5 together! 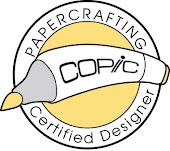 My background paper is from Echo Park Splash, Bazzill Two Scoops cardstock, Silhouette Cameo die cuts, and of course Shaggy Dog papercrafting kit! Check out the Flower Soft Blog, Flower Soft Store, and the Flower Soft Facebook Page for more inspirational ideas!